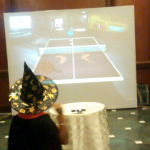 This entry was posted in Education and Kids, Event and Media and tagged birthday party, Event, interactive wall, interactive wall projection system, Kids, kids birthday party, Kids Entertainment, kids event, Kids Games, MotionMagix Interactive Wall, party on October 27, 2014 by Touchmagix. 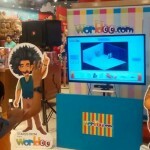 Example of great branding exercise by Promoting an Online property for kids in the Offline world. 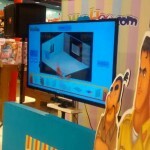 Objective: Promoting an Online property for kids in the Offline world. 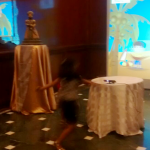 One of the fastest growing and hardest to impress demographics in the entertainment segment is children. 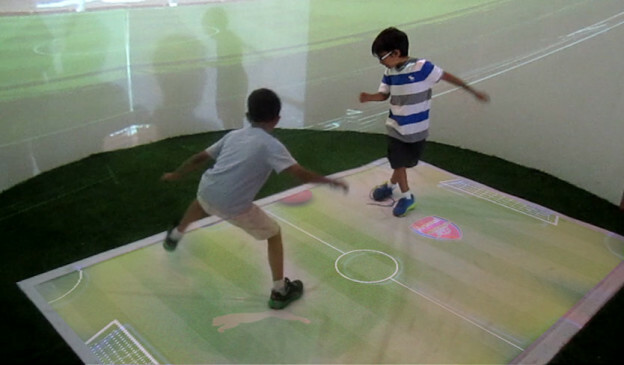 With the elevated exposure that kids have, it becomes imperative to design entertainment to match their intellect. 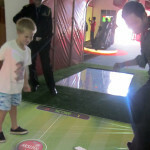 The internet, thus, has become a go-to for most kids and parents in search of entertainment and games. 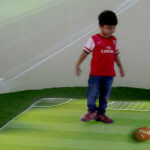 Making such online content more child driven is Worldoo, an online portal where kids can experience a virtual world where they can play age appropriate games and learn new and exciting things. 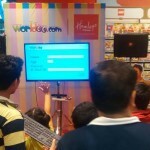 In their promotional event with Hamleys across four locations, Worldoo used the power of TouchMagix’s Interactive Technology to bring this fantasy world to life. 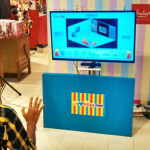 Kids played the Worldoo ‘Home’ game, an Augmented Reality 3D game using the power of TouchMagix’s gesture tracking technology. 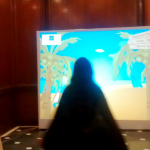 The aim of the game was for participants to decorate a room displayed on the MotionMagix™ Interactive Wall as aesthetically and creatively as possible. 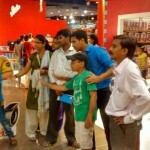 Different objects such as furniture, appliances etc. 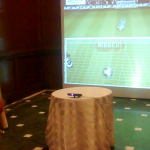 were placed around the room and the children had to drag and drop them into place using gestures. 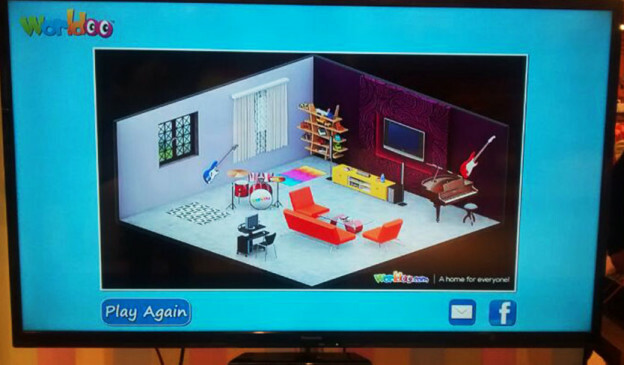 They could also choose different layouts, wall colors and interiors to create their personalized 3D home. 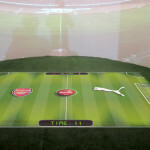 Once the layout was complete the kids could post the pictures of their creations on the Worldoo Facebook page and solicit ‘likes’ to win. 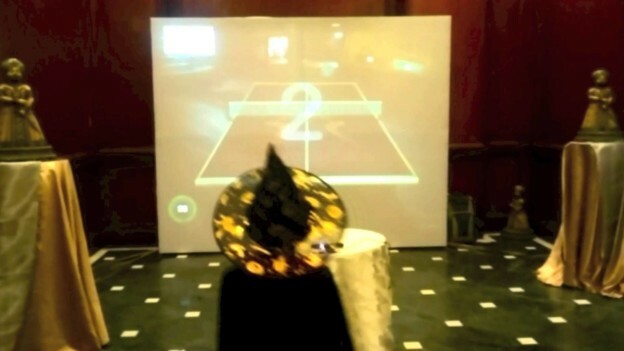 This helped to establish a great offline-online connect. 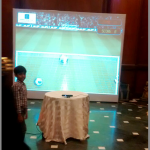 The promotion saw great and enthusiastic participation from kids owing to the interactive content and also ensured high visibility that went beyond the physical space. 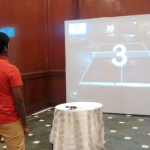 Impact: : The event saw great participation because of its engaging content and also proved to be a great branding exercise by establishing an offline-online connect. 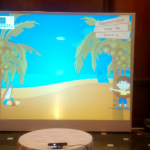 This entry was posted in Education and Kids, Event and Media, Hospitality and tagged Education, Event, Hospitality, interactive wall, Kids, kids event, motionmagix, MotionMagix Interactive Wall, worldoo on June 25, 2014 by Touchmagix.